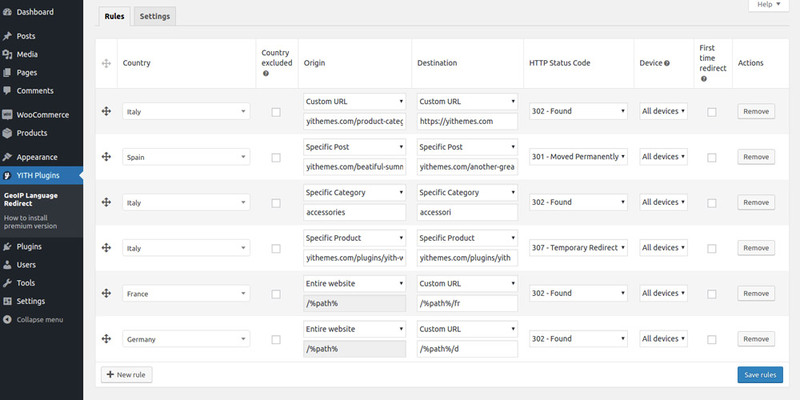 The plugin allows you to create one or more redirect rules for your website URLs. 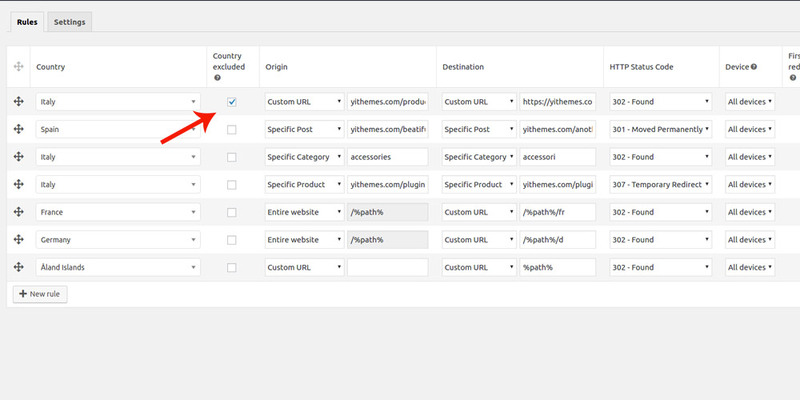 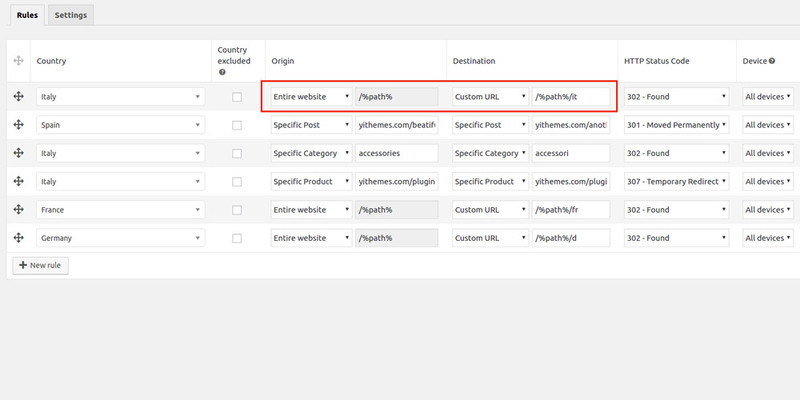 Create a rule in the plugin settings panel at YITH Plugins > GeoIP Language Redirect. 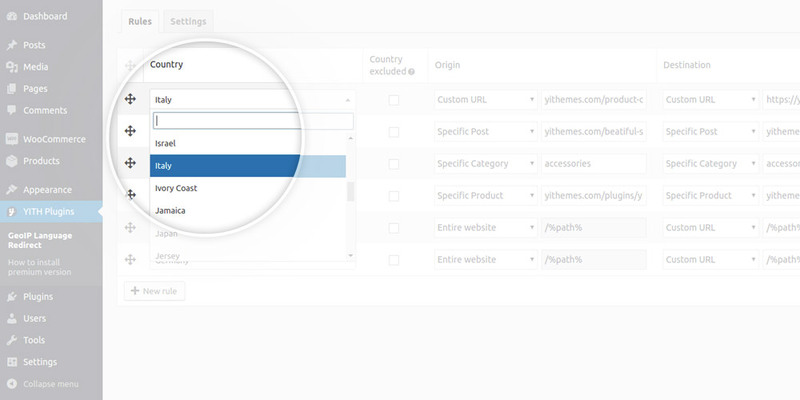 Each rule will apply to the selected country or, in case the reverse option is selected, it will apply to all countries except for the selected one. 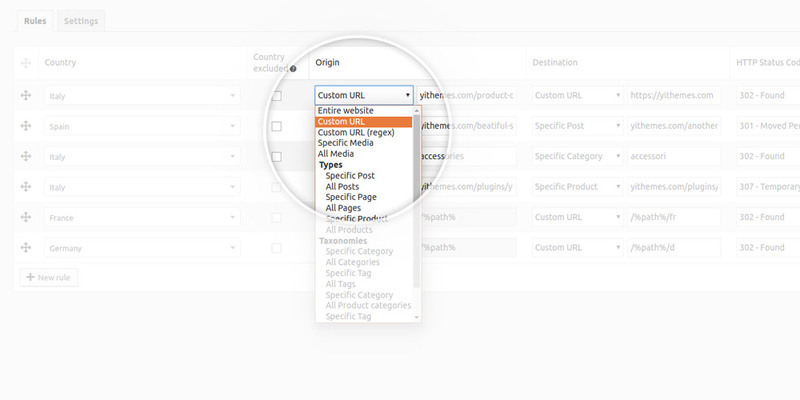 For each rule, you just have to select the origin and the destination address choosing from custom URLs, posts or pages from your website. 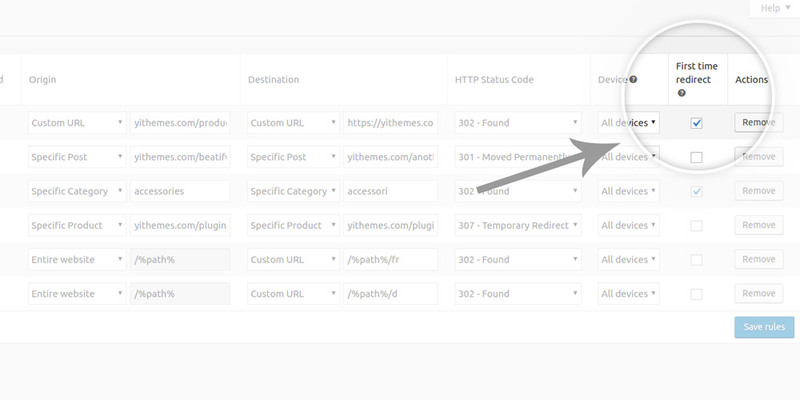 By default, redirects are applied to “All devices”, but the plugin allows restricting the redirect only to Mobile or Desktop devices. 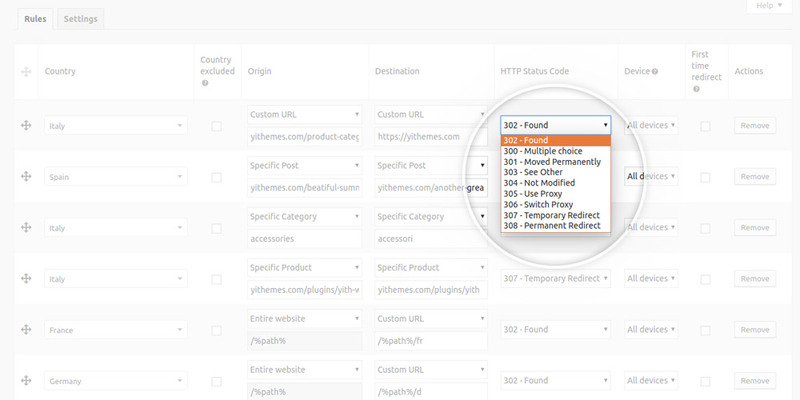 Read more here about how to create a new redirect rule. 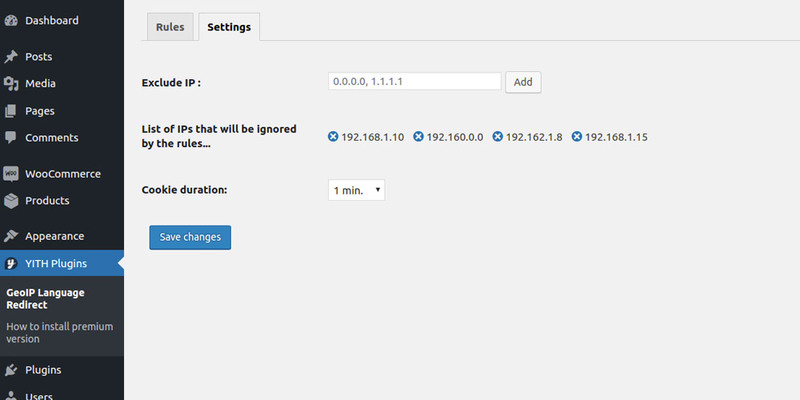 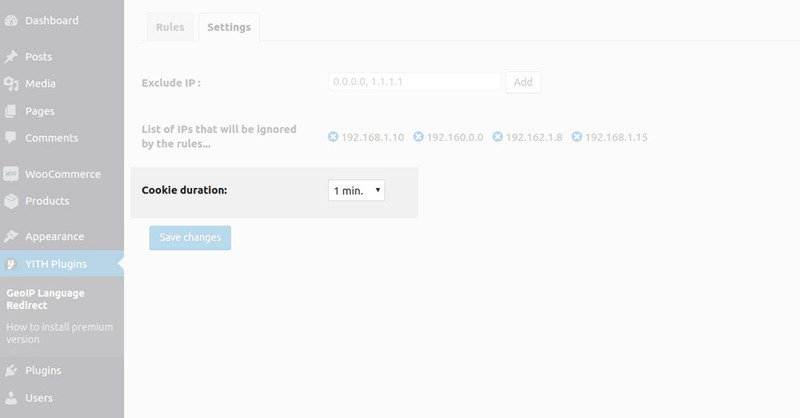 All the IP addresses you want to exclude have to be added in YITH Plugins > GeoIP Language Redirect > Settings. 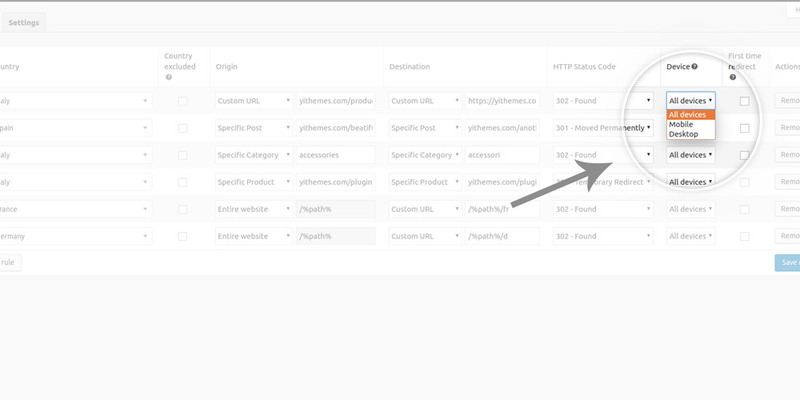 Redirects will not apply to users who visit the website from any of the listed IPs.